Switchgrass (Panicum virgatum L.) may have value as forage and a bioenergy feedstock. Our objective was to evaluate how harvest system and N fertilizer rates affected biomass yield and nutrient composition of young stands of switchgrass (cv. Alamo) in the southern Great Plains, USA. 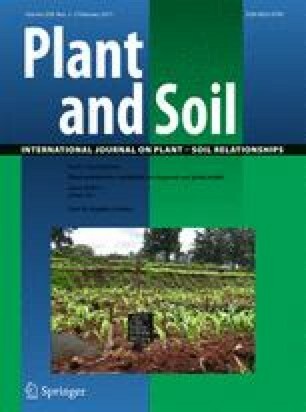 Nitrogen fertilization increased biomass yields from 10.4, 10.8, and 12.2 Mg ha−1 at 0 kg N ha−1 to 13.7, 14.6, and 21.0 Mg ha−1 at 225 kg N ha−1 when harvested after seed set (October), after frost (December), and twice per year after boot stage (July) and frost, respectively. Nutrient concentrations and removal were generally twice as great when biomass was harvested twice versus once per year. Precipitation strongly affected biomass yields across the two years of these experiments. When late-summer precipitation is available to support regrowth in this environment, harvesting switchgrass twice per year will result in greater biomass yields. Harvesting twice per year, however, will increase fertilization requirements and reduce feedstock biomass quality. Switchgrass harvested during mid-summer after boot stage was of poor forage quality. To have value as a dual-purpose forage and bioenergy feedstock, switchgrass would need to be utilized during spring to early summer while in a vegetative stage. We thank Ceres, Inc. for their support of this research. Critical reviews of research procedures and results were provided by Cory Christenson, Jeff Gwyn, Bud Wylie, Joe Bouton, Steve Rhines, Twain Butler, and John Blanton. The Samuel Roberts Noble Foundation personnel contributing to the successful completion of this research included Shawn Norton, Tabby Campbell, Julie Barrick, Derrick Warren, Kevin Lynch, and Roger Hartwell.